Catland is home to a host of readers and practitioners who are available in-shop and by appointment. We offer three distinct types of appointments to help our clients find clarity and practical solutions to their concerns. 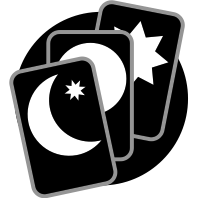 Tarot & Divination appointments employ the use various techniques - tarot, crystals, scrying, tea leaves and other mediums- in order to explore a variety of issues, specific to the client. The goal is to provide insight and clarity, and each reader will bring their own strengths and personalities to the reading. Astrology & Numerology appointments explore the natal charts of the querent, delving into the planetary influences shaping their present, past, and future. Astrologers & numerologists will bring their own methods and practices to the table, and will detail the astrological forces at play in a person's daily horoscope and birth chart. For these appointments, please be prepared to provide your birth date, birth location, and birth time to the reader, all of which are required to perform astrology and numerology readings. Spellwork consultations are an intimate occasion to seek the practical counsel of a practitioner. In these appointments, readers will give practical, step-by-step assistance for tackling problems, affecting change, or manifesting desires. Informed by their own personal practices and beliefs, each reader's approach is unique to themselves. Please be advised that it is against Catland's house policy to conduct spellwork on behalf of clients. To book an appointment, please select your service below.